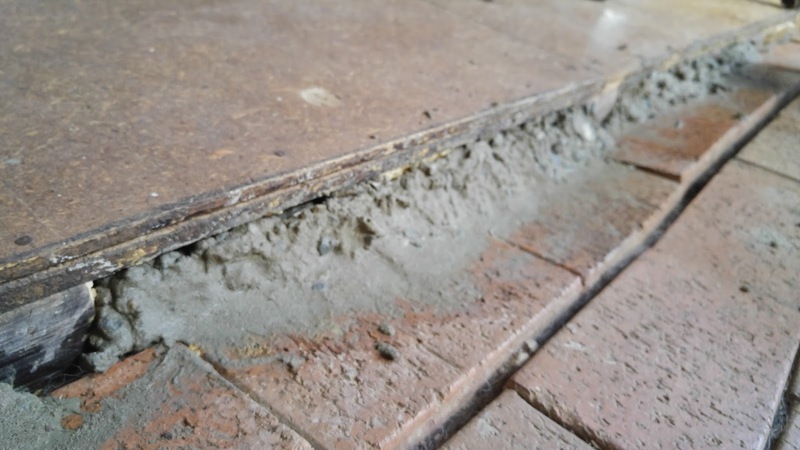 Over this winter I have noticed a breeze blowing through the gap in our lounge room floor; the difference in height between the tyre floor and the pavers. This sneaky little breeze makes my feet cold while I spin (and I’m obviously metamorphosing into a cranky old lady) so I decided to try to block off this gap. Enter the idea of papercrete; I have newspaper in abundance so it seemed a natural progression to mix up some papercrete and plug the gap with it. 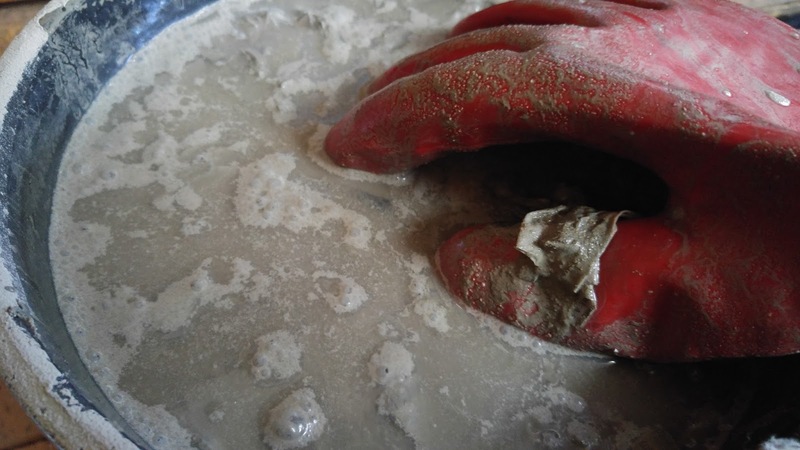 Papercrete is made by mixing newspaper soaked in water with concrete. The similarity between the recommended procedure and what I did ends there. This is the gap I hope to fill. In addition to a sneaky breeze this gap also lets in antechinus, snakes and allows dropped cutlery to escape into the wild. 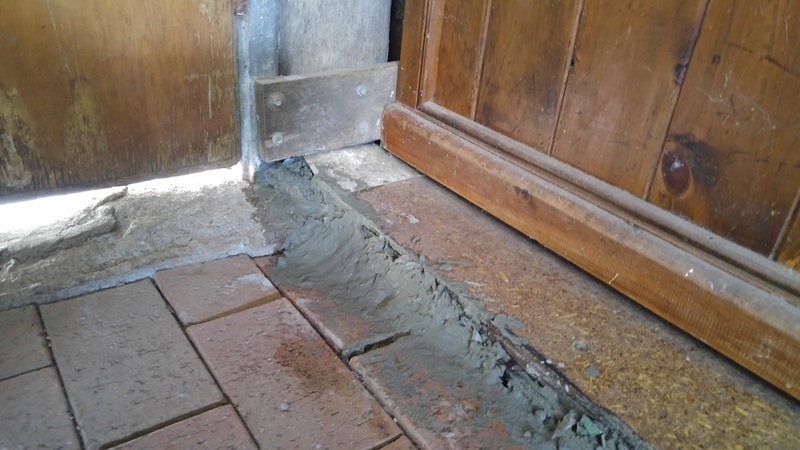 The recommended procedure says to soak the paper in a tow mixer designed to shred the softened paper and mix in the cement. 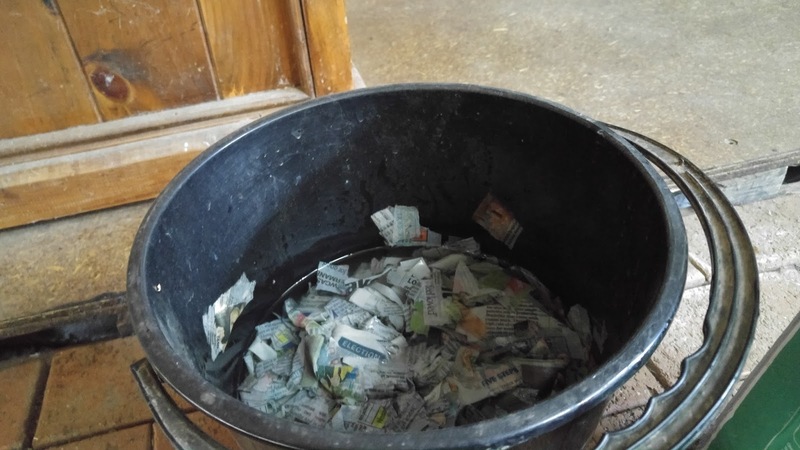 I was only doing a small test patch to see if it will work so I began by tearing up a bucket full of newspaper. The paper soaked for a week so it was good and soft. I used a half bag of cement mix I had in the shed. 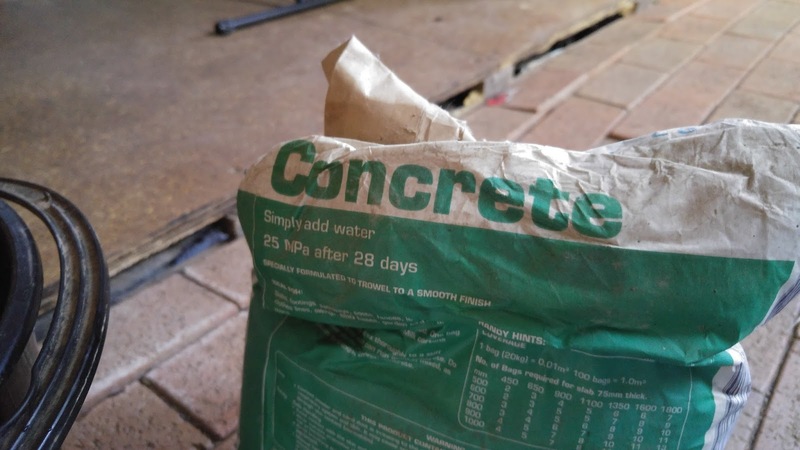 I added the whole half bag of cement…forgetting to pour off the extra water. I mixed the lot into a sloppy slurry and began to pack it into the gap. The bucket full of goop went further than I thought it would, but it is still very rough and I think it will crack when it dries. As you can see it’s rough. While this was a very quick and dirty experiment I can see a lot of potential for this building material. 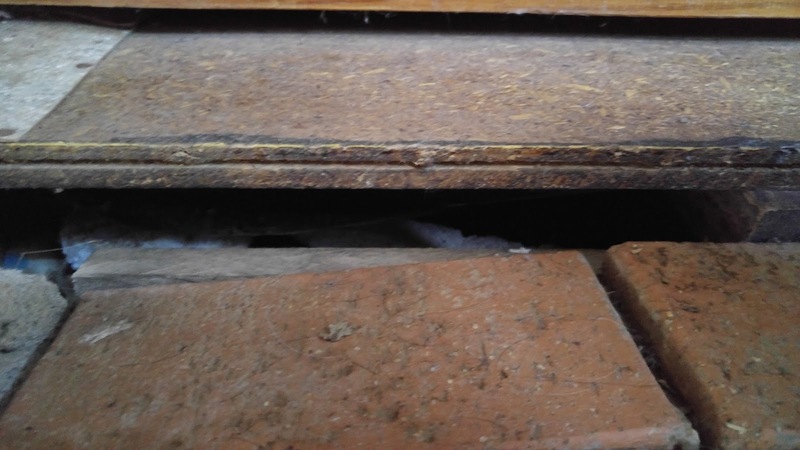 If the papercrete holds in this gap I am thinking of using it to fill the gaps and cracks around doors and windows. I might even go as far as building a tow mixer to make HUGE batches as I am lucky enough to have access to almost unlimited newspaper. 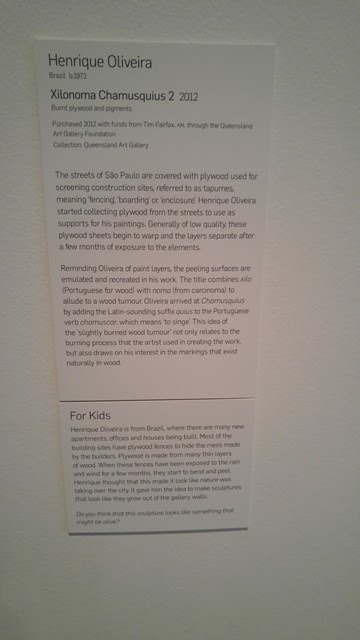 In other news…I went on a little field trip to the Museum of Contemporary Art in Brisbane last weekend and found this amazing piece there. 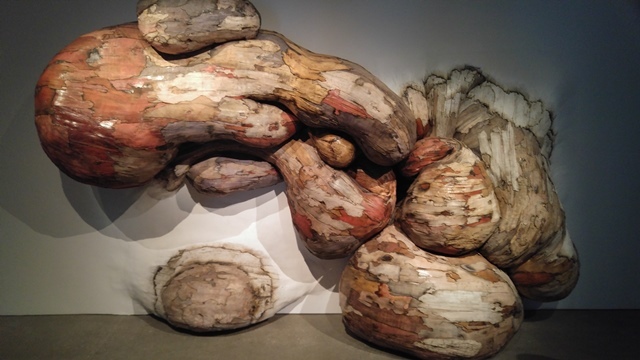 It reminds me of the tumors that grow on really old gum trees.